We spent time brainstorming ideas to get restaurants that support local sustainable agriculture involved, wrote letters to Michelle and Jill (we are on a first-name basis now), and worked with our friends at FreshFarm Markets, but really just used our planning sessions as an excuse to get together and eat well. Discussing ideas over dinner at Little Serow and Palena is hardly an effort. 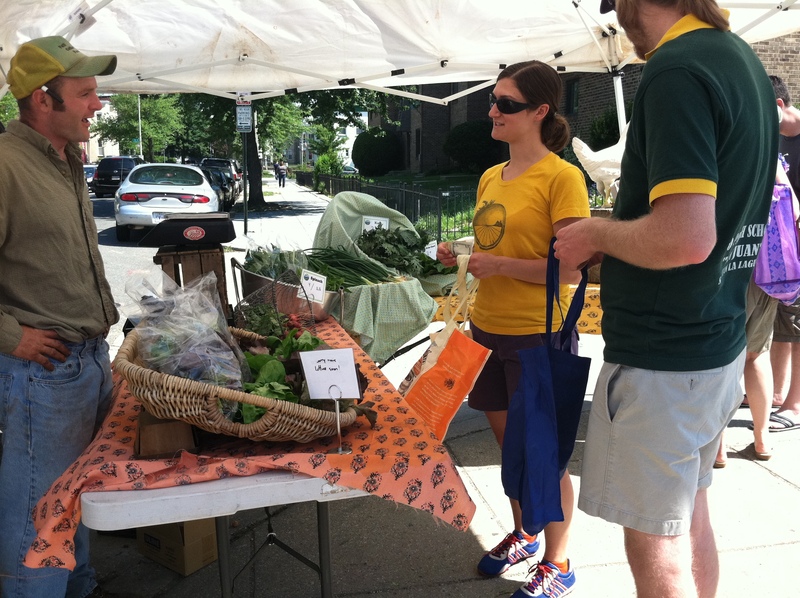 In the end, while our grandiose plans ended up being slightly less grand, we had a fabulously successful Food Revolution Day at the H St. NE FreshFarm Market. The weather was perfect, we had delicious samples of a strawberry sauce with yogurt and granola, a super cool veggie scavenger hunt for kids (with an awesome prize — “I ❤ farmers” temporary tattoos), and an insanely talented balloon animal artist. I even made people at the market promise me that they would cook something that evening in support of Food Revolution Day. 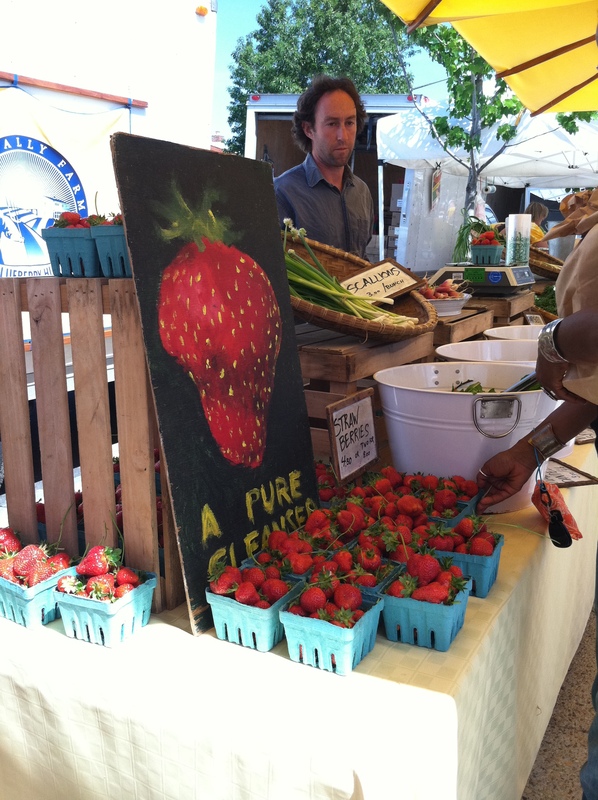 Here is a picture of how bustling and crowded the market was on this perfect Saturday morning. We had some of Jamie Oliver’s easy recipes printed off for people to get ideas for things to cook in support of the revolution. The farmers seemed to really enjoy the scavenger hunt. We had the kids take around a passport, pictured above on the bottom left, with pictures of seasonal fruits and veggies. When they found one, the farmers crossed off the item. When all items were checked off, we gave them the tat. Did someone say they couldn’t find strawberries? 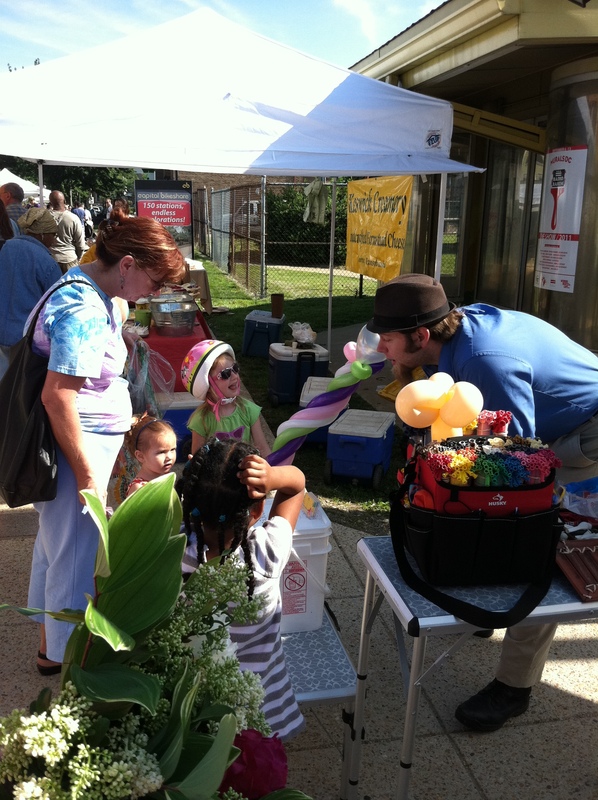 The balloon artist captured all kids’ attention — young and old. And by old, I mean 26. I could have watched him make giraffes for hours. And did. This special birthday girl got to go home with a balloon doll of herself — a pretty pink ballerina. 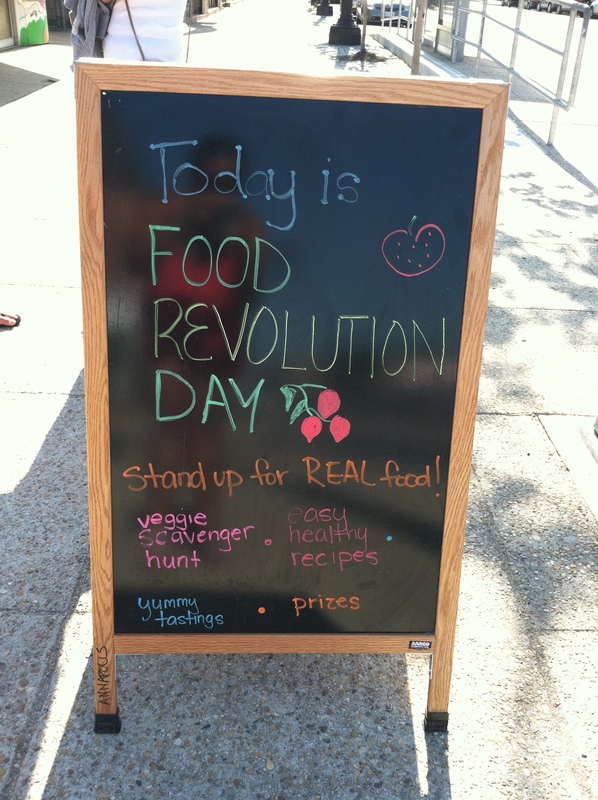 All in all, it was a great day and I can’t wait until Food Revolution Day 2013. Here’s to meeting Lady O. next year!